A healthy and delicious treat! 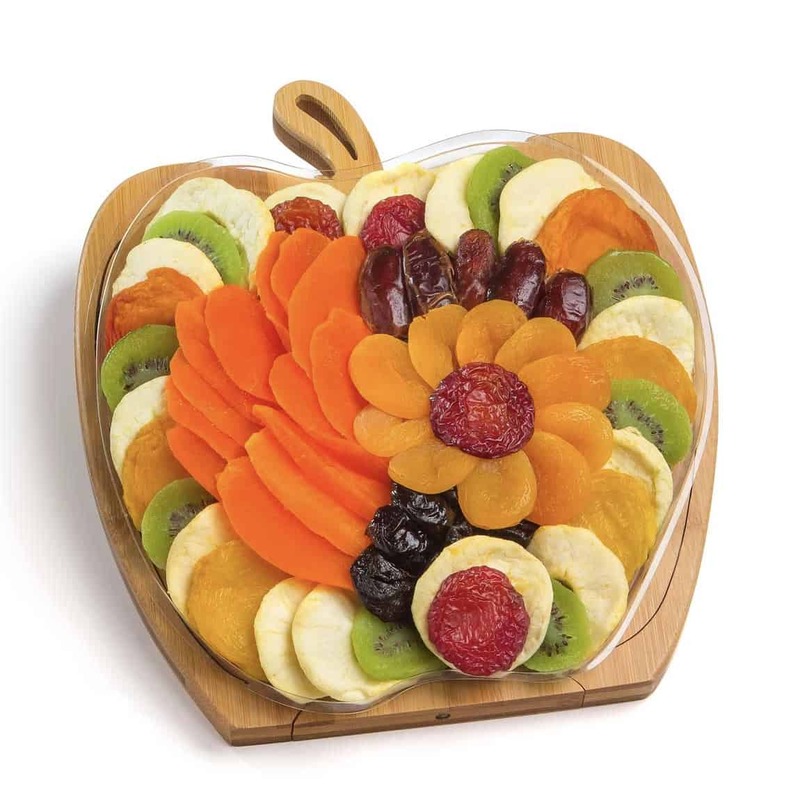 This delightful apple-shaped trivet joins our collection just in time for Rosh Hashanah! 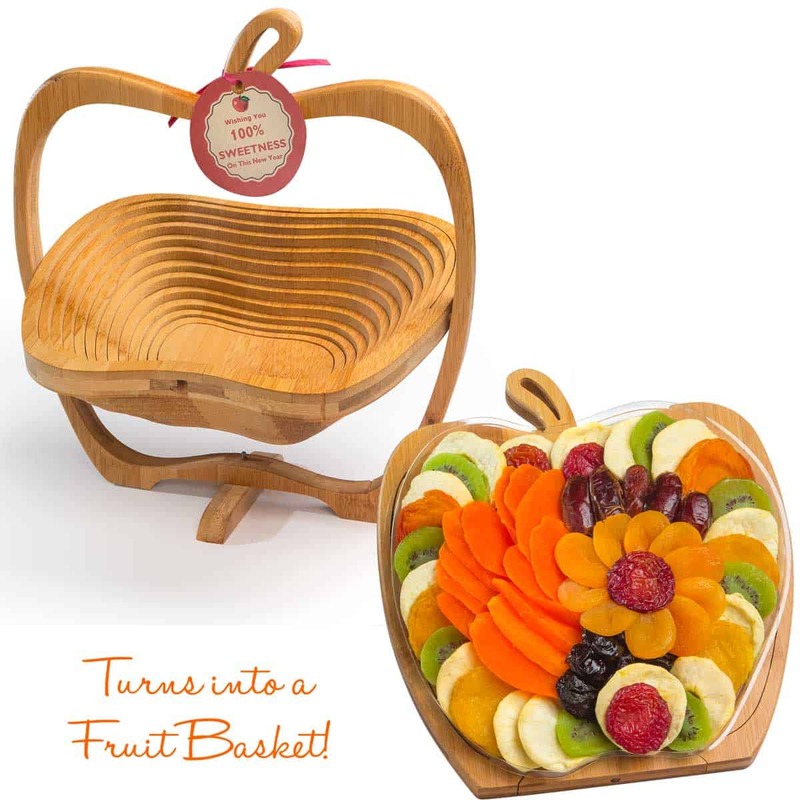 It’s made of sturdy bamboo, and holds an apple-shaped tray filled with a variety of premium dried fruits. They’ll delight in exotic mango slices, Mediterranean apricots, luscious California yellow and white peaches, mouth-watering pears, Washington apple wedges, and yummy California dates, plums, and prunes. A healthy and delicious treat! Multi-use Bamboo Tray can be used as a Trivet or as a Fruit Bowl. Measures 12″ x 10″ flat and 16″ x 12″ when open.